Robotic technology - KMS ENGINEERING Ltd.
Robotic technology is one of our main interests. The team of KMS has developed experimental design of a SCARA robot for the company attendance at the Technical Fair of Plovdiv 2010. The actuated is based on servo motors from SCHNEIDER ELECTRIC and backlash-free wave reducers. The control system is based on a motion controller LMC10 also from SCHNEIDER ELECTRIC. 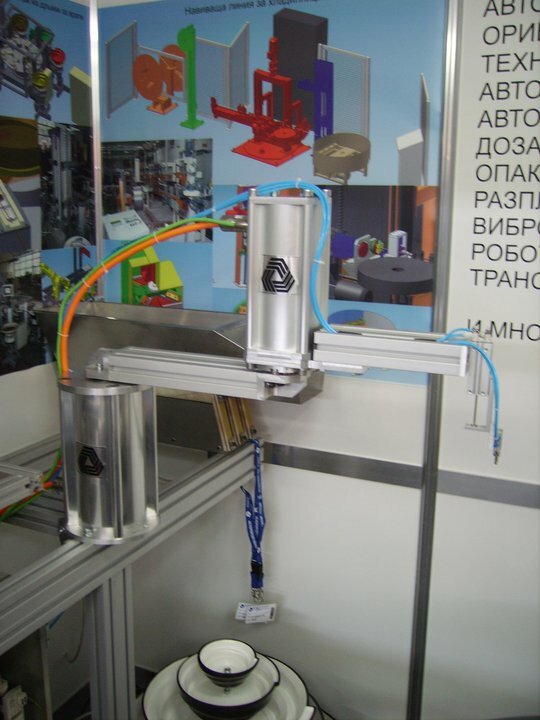 The team has designed many different pneumatic and servo-driven manipulators for our own machine projects as well as grippers and other devices for them.